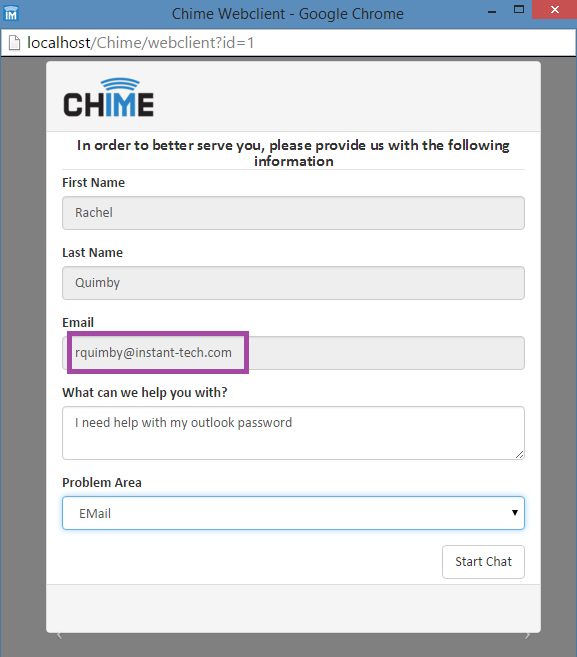 We've been busy building out an updated release (Chime 2.4 GOLD) of Instant Chime (www.addchime.com) that fully supports Skype for Business (aka S4B). Our latest version includes virtual agents which allow you to provide pre-chat integration with other systems - i.e. 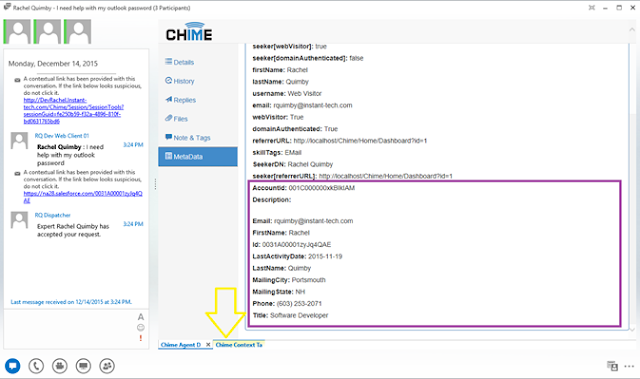 lookup customer’s email against ServiceNow®, Microsoft Dynamics®, Salesforce®, Alchemy®, or in house ITSM solution and retrieve all open tickets and/or assign routing tags. The new release of Instant Chime allows you to use S4B as part of Office 365 or via the S4B on premise installation. Screenshots of the latest version of Chime grabbing the email entered by the user followed by Chime displaying the information grabbed by the Virtual Agent.